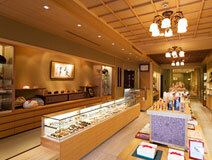 The shop was founded in 1865 as a store selling small goods for women’s hair in Gion, Kyoto. 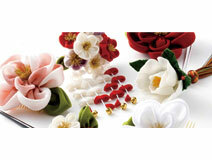 Most of our products are original and include ornamental hairpins, tubaki oil, boxwood combs, and hair accessories. 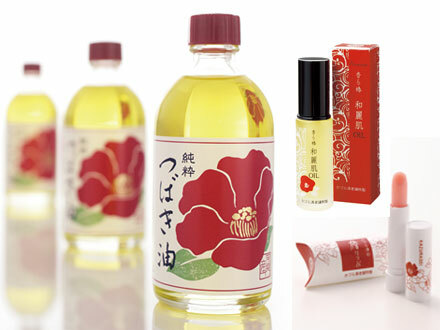 Pure tsubaki oil is produced in our factory in Gotou-rettou in Kyushu. Rich in natural essential oil and vitamins, the beautifying oil is great for aging care and will deliver moisture and glow to skin. Lip cream contains honey and safflower extracts, and will moisturize the lips for a long time. Kyoto City Bus "Gion" get off, walk 1 minute. Keihan train "Gion Shijo Station" get off, walk 5 minutes. Hankyu train "Kawaramachi Station" Get off, an 8-minute walk.